Our fine fragrances have a global appeal and follows fashion trends. Our Perfumers creates tailor made perfumes for our customers and their consumer understanding makes our fine fragrances to have a sustainable appeal. Various scent emotions are followed in our innovative fragrances to give them a feel of uniqueness. 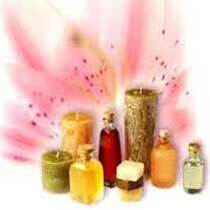 Our Fine Fragrances are used in â�� Designer Perfumes, Deo-sticks & Roll-ons Deodorants, Colognes.